Sithand’Izingane care project – South Africa. project that really delivers. It is situated in Withok area, opposite the Langaville extension, which is in the Greater Brakpan Area, 56 km south-east of Johannesburg. Abantwane Belanga Foundation – Netherlands. 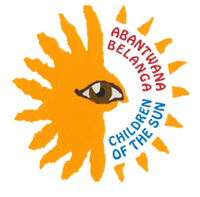 This foundation (children of the sun) was founded in 2013, and their aim is to provide financial / material support for one or more local care projects NGO’swithin the Tsakane – Kwa-Thema area and the east Rand, South Africa. Taking in account that we want to improve the well-being and standard of living of the children, youth and their because of HIV-AIDS infected / affected families. The mission statement of the Intabazwe foundation, is to improve the quality of life for the poorest and therefore underprivileged population of South Africa. Their support is in first focused on children and youth. Women come to Kopanang, to share their hopes for a different future. They embrace their present reality of struggle and sickness. Here they can learn skills that will lift them into a new awareness of the power of community, where they can share their cultural and spiritual stories. They find their creative voice. The ethos of Kopanang, a sotho word for “gathering together” is to be a blessing and pass on that blessing, to care for one another and to be present to each others’ lives, particularly those bowed down with suffering. Commundo organises volunteer work abroad, and internships tailored to your specific needs. You can always contact us, regardless of age or background. You work with small-scale development organisations that are thrilled with your help. Join us on a journey and we offer you an experience you will never forget! For students who come and work at the Sithand’Izingane project, during the gap-year, we set up a cooperation with Keuze College in the Netherlands. They are specialised in study guiding and it answers the needs for the students during the gap year; and also before and after the trip to the project. It helps them, to make the proper decision and to find the study of their choice. NACOSA is a network of over 1,500 civil society organisations working together to turn the tide on HIV, AIDS and TB in Southern Africa. NACOSA promotes dialogue, builds capacity with accredited training, mentoring and technical assistance and channels resources to support service delivery on the ground, particularly among children and youth, key populations and women and girls.